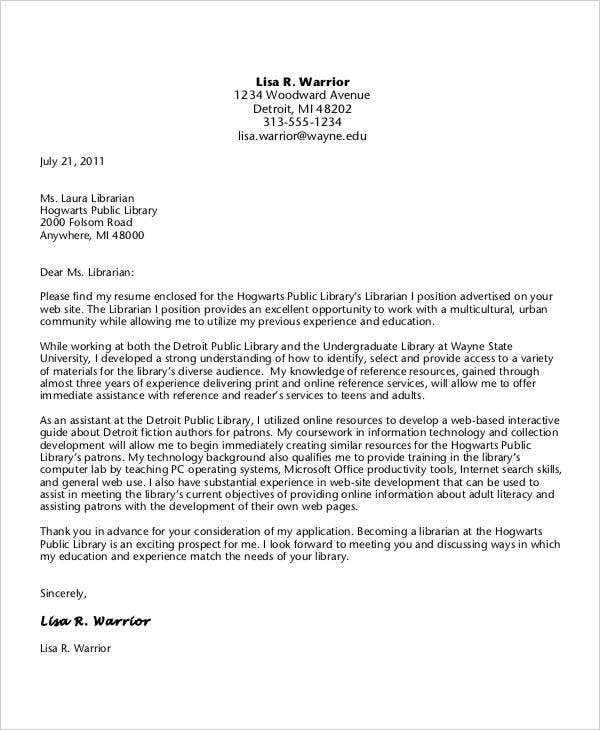 Are you planning to apply for a librarian position? Looking for ways to improve your cover letter? We can assist you with that. 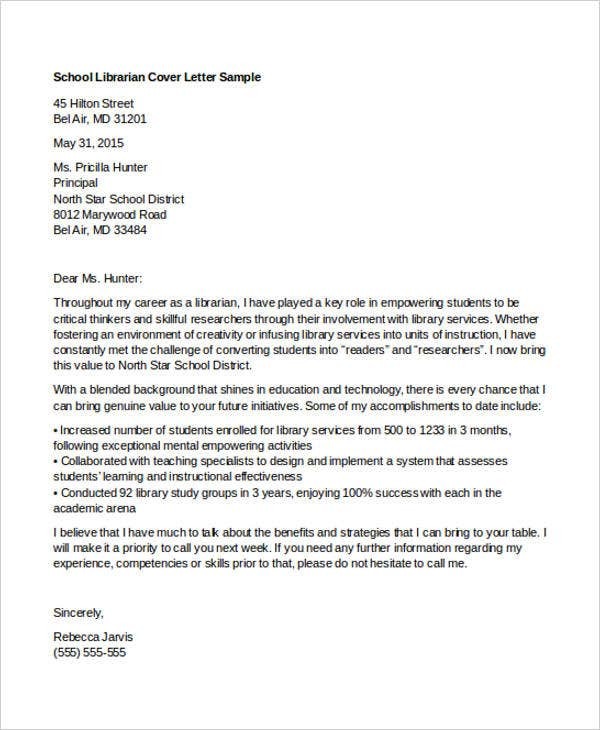 Like any other profession, a librarian must showcase his or her organizational and mastery skills in crafting his or her cover letter template. Keep in mind that your cover letter format affects the overall appeal of your resume. 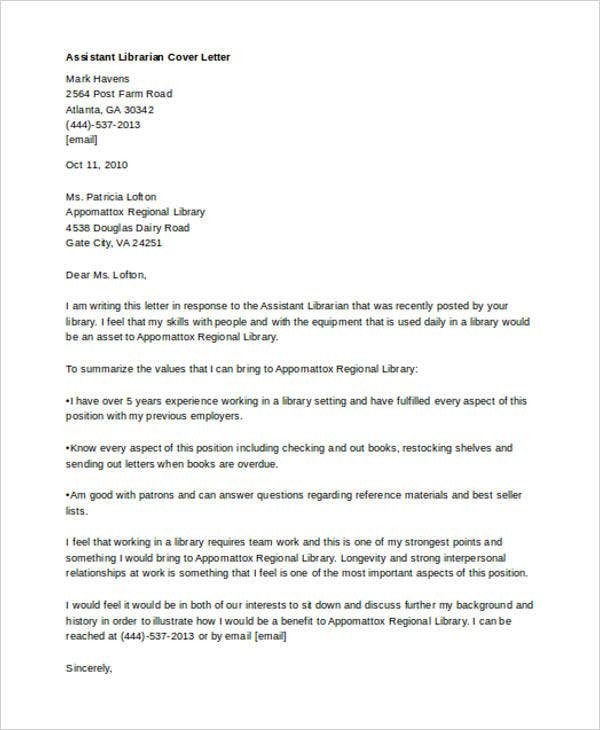 In line with this, we have here librarian and samples which caters a variety of librarian positions. 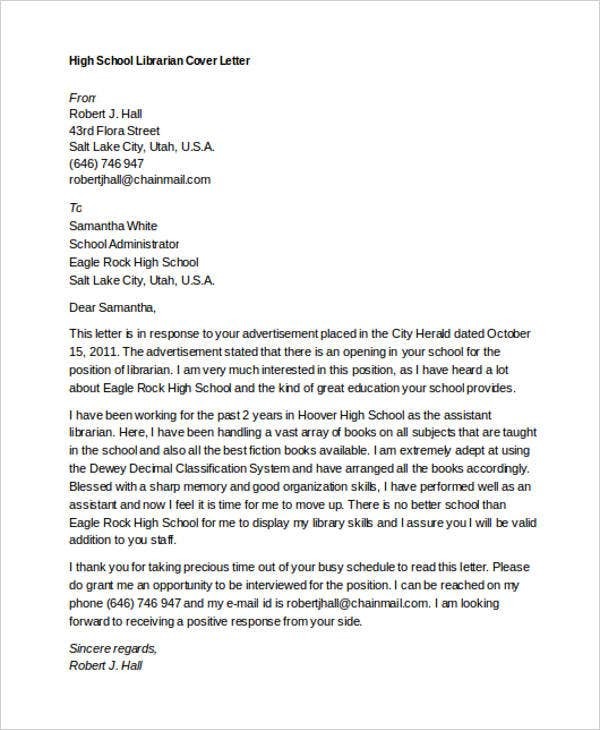 If you’re an aspiring high school librarian or an experienced academic librarian, we’ve got templates and samples in store for you. Feel free to review and check them out. 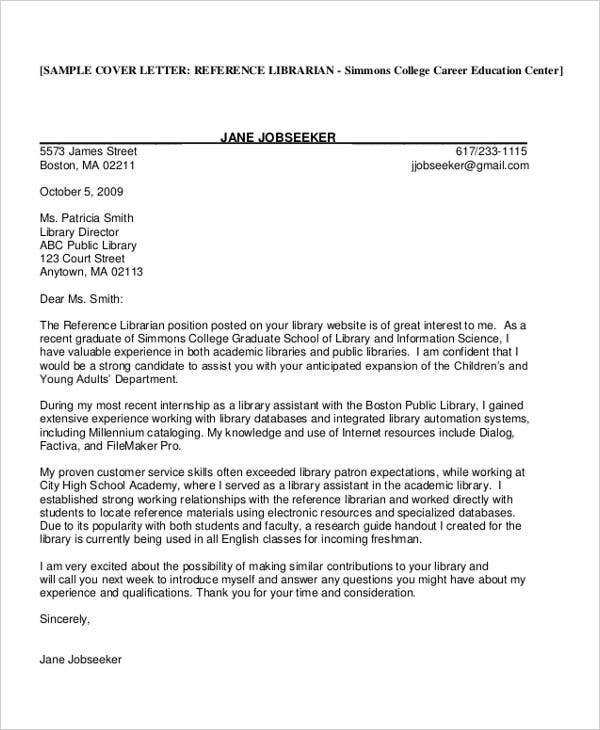 How to Write a Librarian Cover Letter? Observe proper formatting. 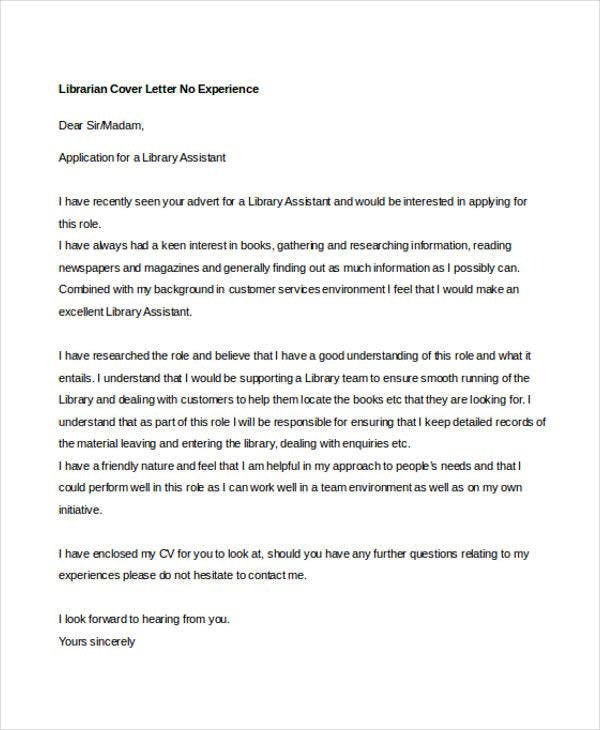 Always remember that a cover letter is a formal one. Formatting refers to the overall structure of the letter that is from the choice of font style, font size, and how you sort out and arrange the sections. Provide your contact information. This includes your full name, address, and up-to-date contact numbers. Aside from your contact details, you also need to provide your prospective employer’s contact details. Choose an appropriate cover letter salutation. Provide a brief introductory statement. Before going into the reasons for writing a cover letter, you concisely introduce yourself and the position you are applying for. Provide the core of the letter. In here, you need to provide reasons why are interested to apply to such institution. Showcase your qualifications and skills as an aspiring librarian. Provide a closing statement. End your letter with simple words of gratitude and gratefulness. These are some basic steps that you can follow. 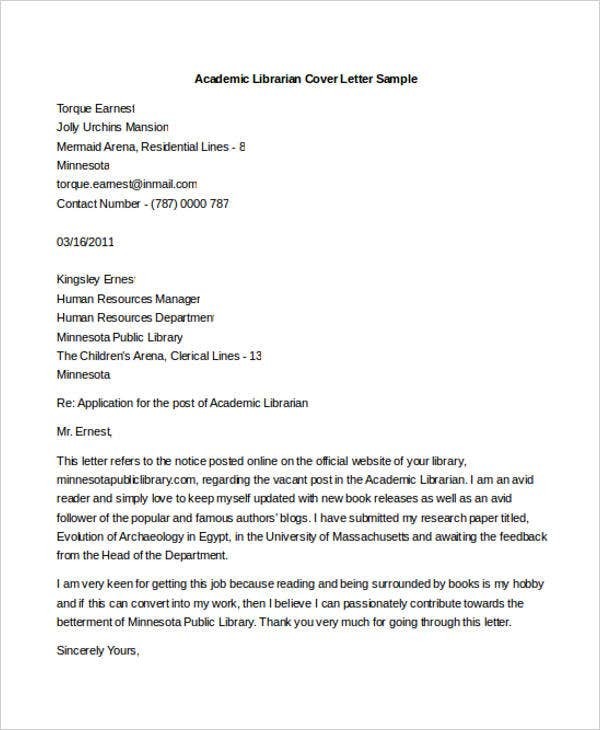 For more specific free cover letter, you can also review our Sample Cover Letter, Latex Cover Letter Templates, and Executive Assistant Cover Letter. Feel free to check them out. Provide keywords. Like any other profession, keywords are also important in your cover letter. Keywords are beneficial not just for you but also for the hiring managers that will be screening your work. Highlight and indicate specific skills and qualifications. By emphasizing your skills, the academic institution will have an idea on how will manage the library. Be original. It is advisable for you to refer to our templates. However, you have to customize it and put your own spin on it to suit your situation. Conduct research. As mentioned by Hallenbeck, a resume is customized to a career, but a job cover letter is customized to a particular position. By researching, you will have an idea of the academe’s dynamics. These are some cover letter tips that you can use to help you start and format your cover letter. Speaking of cover letters, we also have Fax Cover Letter Templates and Email Cover Letter Templates. Feel free to review them on our website.